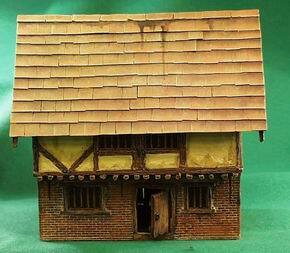 Crystal Caste: The Farmhouse "cottage"
Measures 4Â” by 5 Â¾Â” and is a two story building. Swinging doors front and back with five detailed windows. Tudor style over-hang on second story. Roof removes to allow easy access to the inside. This item cannot be shipped outside of the US.